Meet Melanie Burston. She’s on a mission to have coffee with 52 perfect strangers. Photo by Andrea Tomkins. McKellar Park resident Melanie Burston has a goal. She’s challenged herself to bring 52 friends along for 52 coffee dates with 52 strangers. Her project started innocently enough. She was in a coffee shop with a colleague when a stranger caught her eye. She noticed the stranger’s pants had a long adhesive size strip still attached to them, thus, he was unknowingly advertising waist size and inseam to all and sundry. This small exchange inspired her to try to meet more strangers and make new connections. Her colleague’s reluctance to get involved got her thinking about what it all means. The way she approaches strangers for her coffee project is simple enough, although she admits her technique needs tweaking. She’s been strategically leaving an envelope on a table that contains a written introduction and a gift card. Burston and a friend sit together near by. 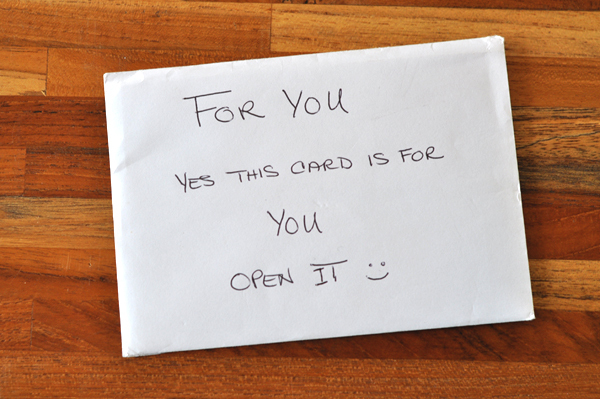 When – and if – she sees a stranger read the note, the conversation begins. Burston, however, has realized that meeting strangers is harder than it looks. Burston says the strangers who find her note are totally mystified; afraid to pick it up and looking around (for hidden cameras perhaps?) with an air of distrust. “One time the envelope was there, for an hour, in a busy coffee shop, and no one would sit at that table,” says Burston. So far she has no solid theories why it’s so hard for people to take a leap. She’s had some takers, with conversations that have been fun and interesting, but the shyness has prevailed. Moving forward, Burston says she might exchange the card for a larger sign placed right in front of her that would be harder to ignore. She eventally hopes to get a better understanding of the city and the people who live here. Burston plans to start a blog about her journey and someday hopes to tell the stories of the people she meets in book format. But in the meantime, she needs to find a few more takers, and give away a few more coffees.